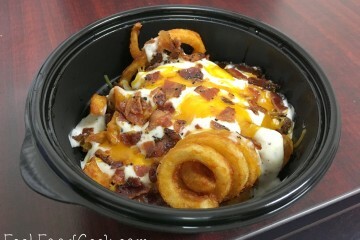 With Pizza Huts overseas coming up with wild concoctions for years, they finally started trickling over to the US with last summer’s Hot Dog Bites Crust. 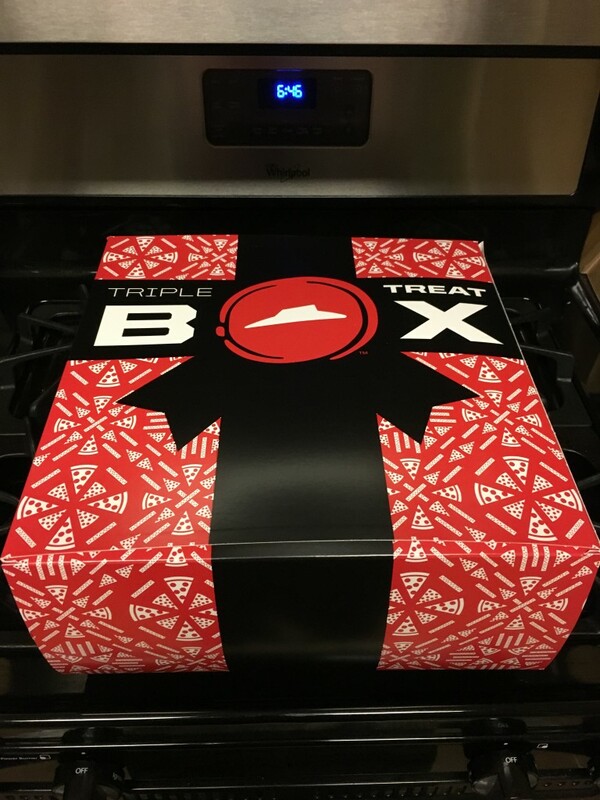 Another idea that Pizza Hut Middle East debuted earlier this year was a Triple Treat Box. 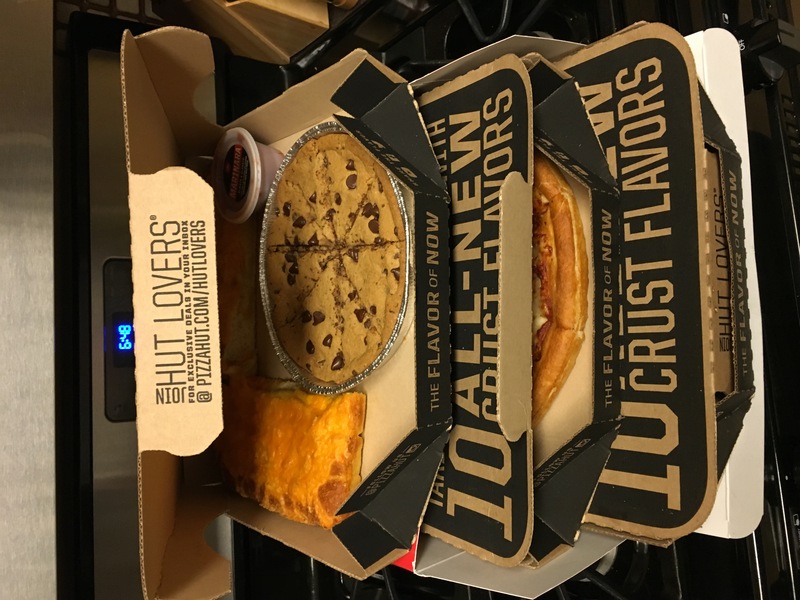 Their box featured 2 Pizzas, Potato Fries, Chicken Sticks, and Hershey’s cookie. 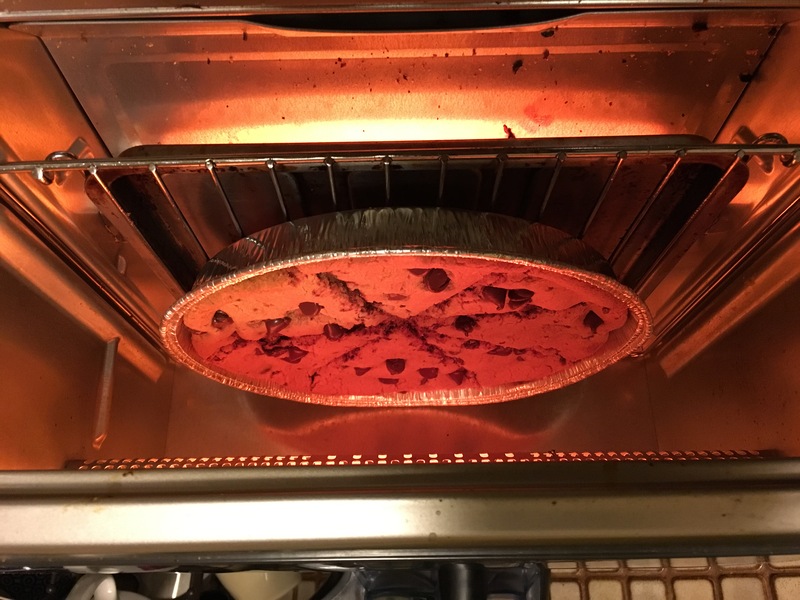 While technically there were four treats in that one, the dresser drawer of pizza concept was tantalizing. Who wouldn’t want to slide out multiple drawers of magic, revealing Pizza Hut created items with every tug or pull? 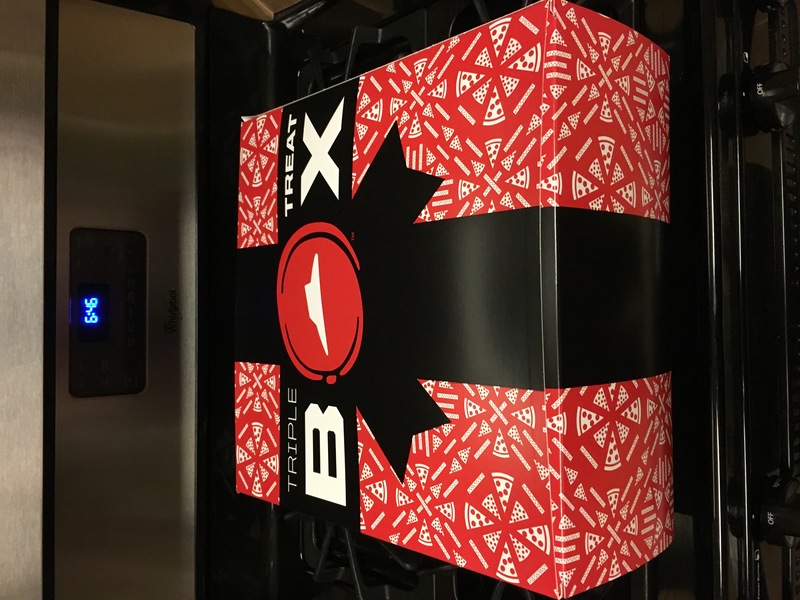 So for this year’s holiday season, Pizza Hut is advertising this version of the Triple Treat Box as a treasure trove for the gift giver in us all. 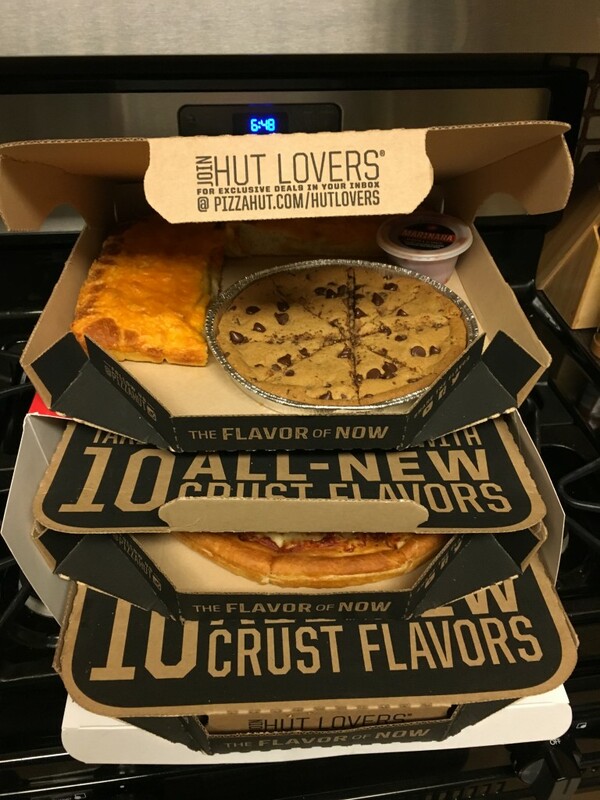 Featuring two 1 Topping Medium Pizzas, an order of 5 Breadsticks, and the Hershey’s Cookie featured in the Middle East one, this box at least got the numbers right with three treats. Looking at the deal itself, based on buying all of these items a la carte we’re looking at a massive savings, with the price being over $30 based on retail. These three items actually represent things you’d actually want in the same meal too with entree, side, and dessert all coming to the fray. 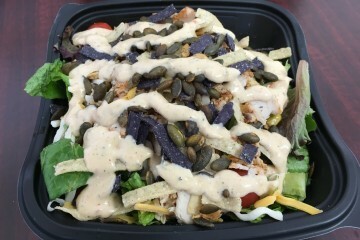 While the items themselves are appealing, the customization here is minute at best. 1 topping pizzas are pedestrian in this day and age. 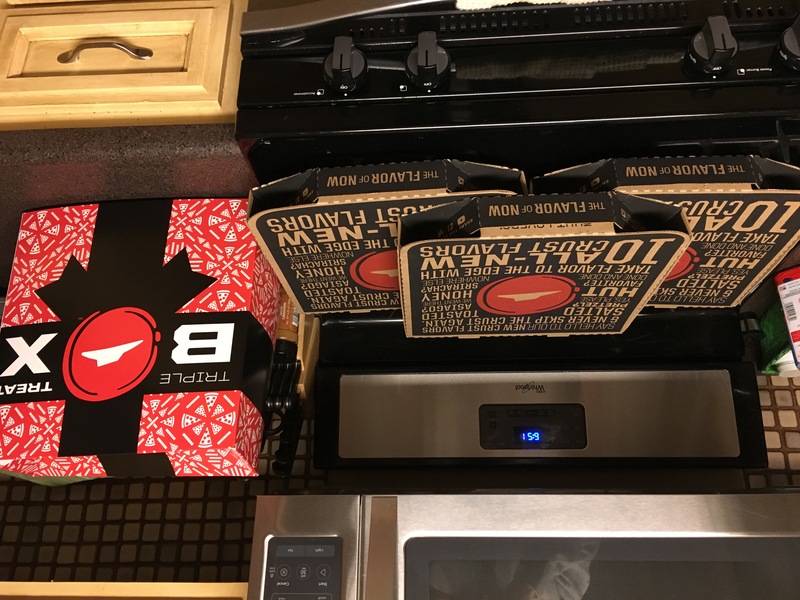 For some reason, when I ordered this online Pizza Hut wasn’t even presenting me the usual option of splitting the pizza up in half so that I could get half pepperoni, half banana peppers to diversify my topping options. 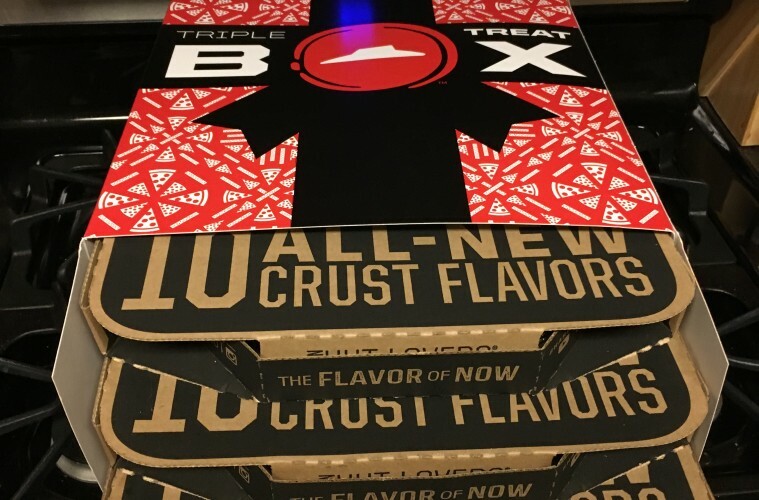 I will say that Pizza Hut’s latest menu trend of adding multiple flavor options to the crust and sauce drizzles has been a welcome one, with both of these adding no cost and enhancing the experience considerably. 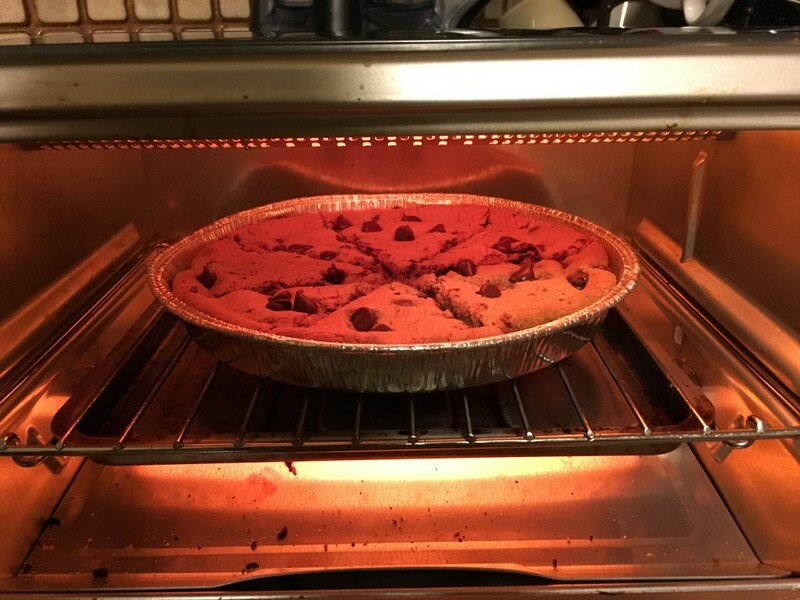 The dessert wasn’t customizable either, with Pizza Hut featuring a brand new Hot Chocolate Brownie that would been great to try instead of the standard chocolate chip. Sifting through the menu, it seems like the standard Hershey’s brownie, the cinnamon sticks, and other items are the same $5.99 or less than the Hershey’s Chocolate Chip cookie, yet aren’t available with this box. The new featured Hot Chocolate Brownie does weigh in at a $1 more but it still would have been nice to have. 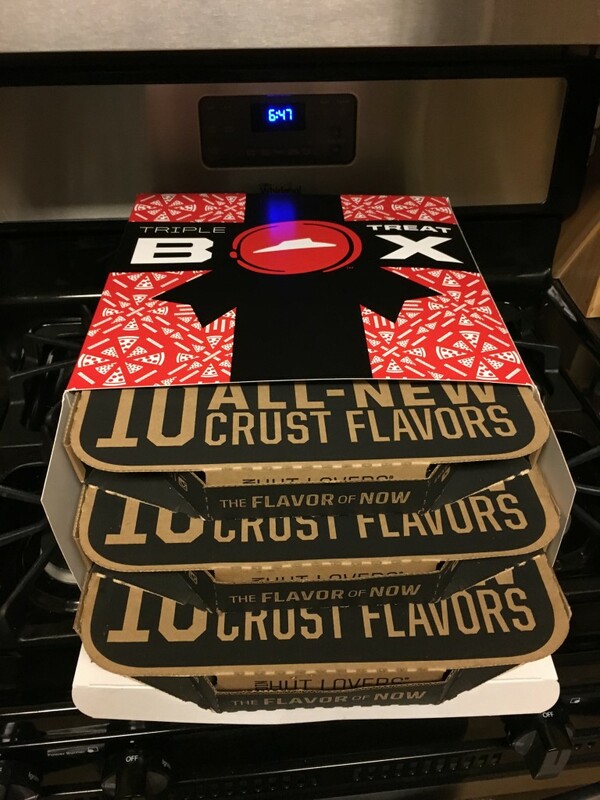 The breadsticks that came with the box were the famous ones that we’ve all been craving for decades, but you do have the option to get an order of the new Flavor Sticks, which we’ve enjoyed quite a bit lately. 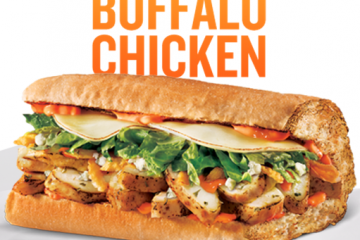 Modeled after the new crust options, you can get a variety of different cheese’s baked into the breadsticks which are a good switch up if you’r not feeling the OG. 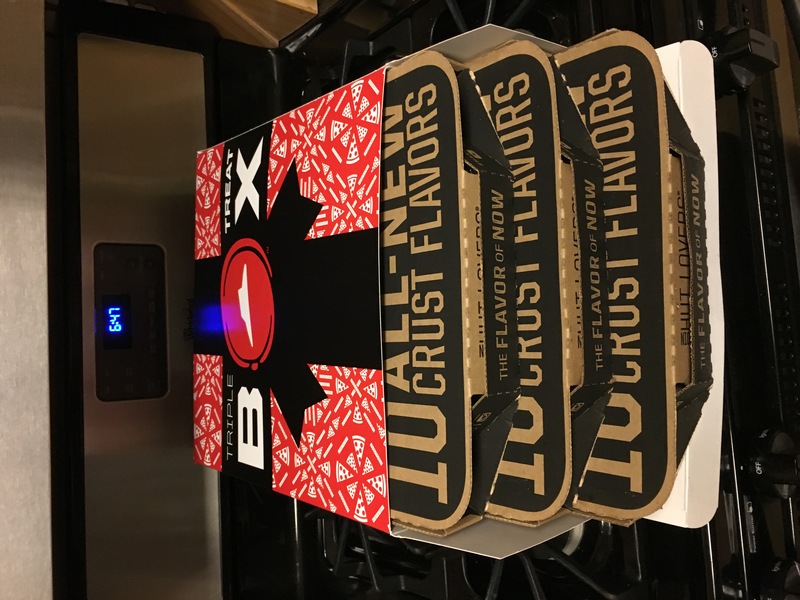 So you might understand my disappointment whenever you unwrap your brand new box on Christmas Morning and find that your dresser drawer of flavor is in fact just three pizza boxes stuffed into a bigger box. While I understand that the cost of drawers just might have been too much for the bottom line to handle, it still doesn’t exactly justify the false advertising being concocted here. 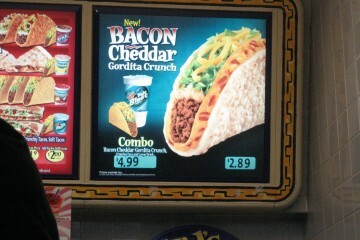 While it didn’t ruin the experience overall, it was just a tinge demoralizing. 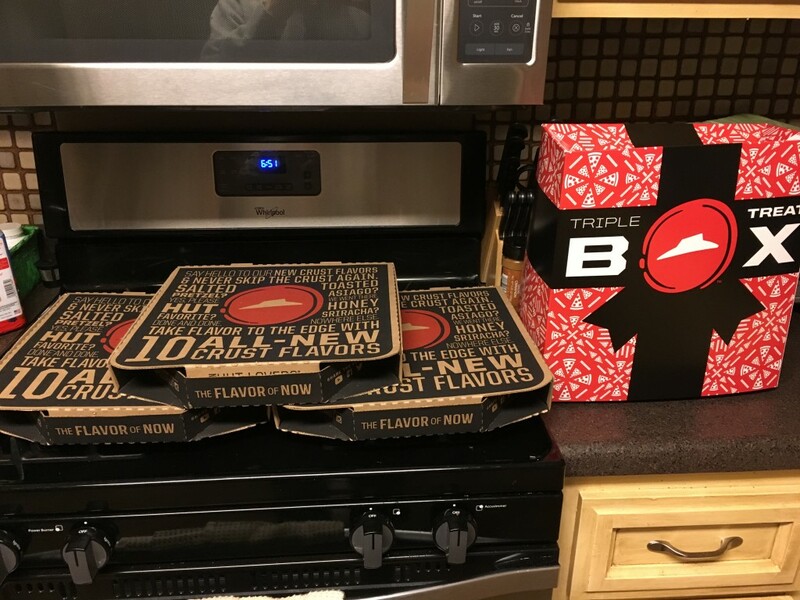 Overall the Pizza was stellar, the breadsticks cheesy and lump, and the cookie was a bit hard after the reheat, but for $20 this was enough food for 4 people at a bargain price.